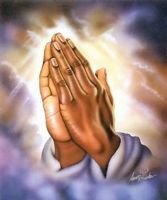 Pray for my marriage and family A.F and family can lose weight,exercise and eat healthy. Pray for everything will go well taking Ryan to college.Pray for Ryan gets books.Pray for Liz and Scott marriage and Aiden and Ella.Pray for Tom and Alysha engagement,new home,van,girls.Pray for Mary and Nate marriage and new home,cars,jobs,finds good spouse and college.Pray for Ryan and Kylie.Pray for Ryan conversion,health,grades,jobs,finds good spouse and college. Special intention Ryan gets books ordered.